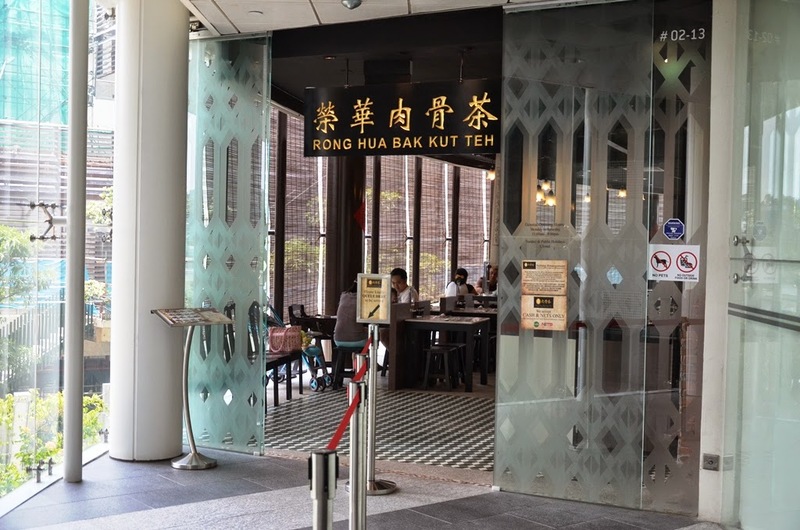 Carrying a recipe which dated back to the 1920s, the founding grandfather, Mr Chua Ah Hua started serving the Teochew-Hokkien dish of Bak Kut Teh in a push-cart around Clarke Quay area. 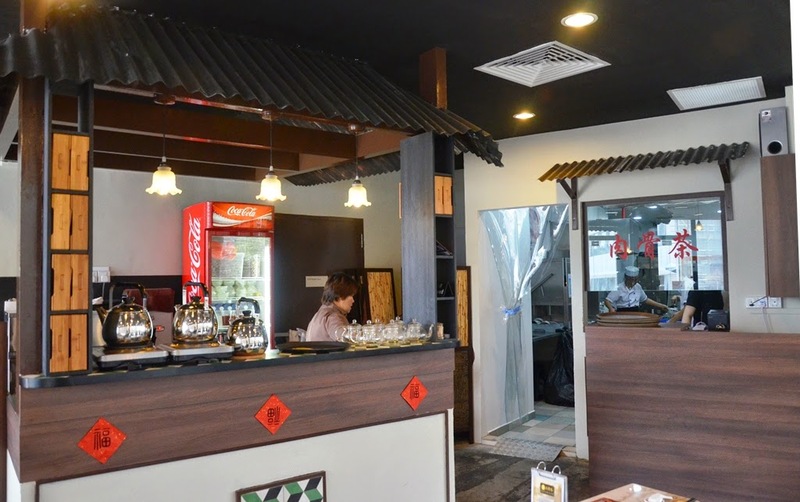 Working out as a coolie, Ah Hua found energy by consuming Bak Kut Teh daily and started to learn from village elder, Uncle Rong who was then running his well-known Bak Kut Teh stall. 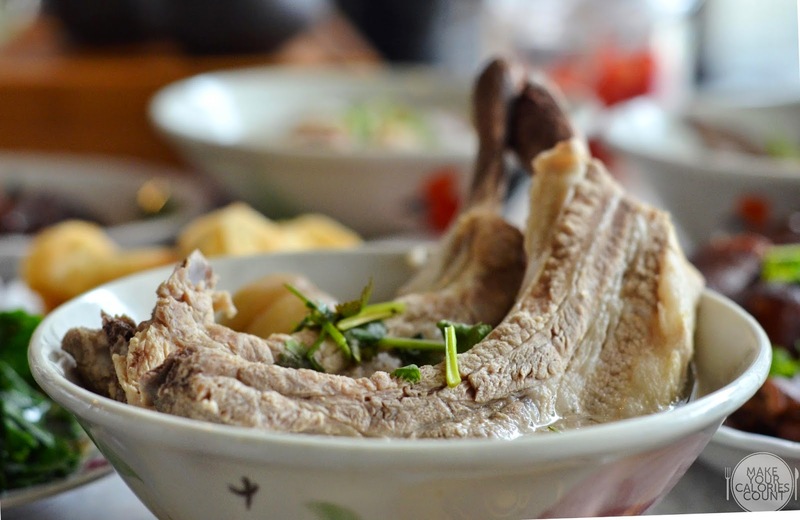 Taking pride in the quality food prepared, the philosophy remains that the highest level of culinary success is when Bak Kut Teh becomes a dish prepared 'using your own heart and soul'. With the grandson now heading Rong Hua, can this traditional and classic Singapore dish be revitalised? Available in two different sizes, we had the larger portion and there was the distinct pepper taste which carried enough heat to please and not overwhelm diners. For those looking for a stronger punch of flavours, you could always request for additional freshly grounded white pepper specially imported from Sarawak for extra kick. Personally, we favour a more balanced broth so this suited us perfectly. What we enjoyed in particular was that the ribs were tender and easily slipped off-the-bone, just the way it should be! There was also just a right amount of fat marbling to add to the juiciness of the ribs. For the food connoisseurs, you would recognise these premium loin ribs almost instantaneously. Also available in two sizes, expect two large loin ribs for the larger bowl while the smaller bowl has one large and one smaller loin rib. While there was a beautiful marbling of fats in the cut, expect the meat to be slightly stiffer than the standard pork ribs. Like most Bak Kut Teh places, you can always request for refill of the broth and the MSG-free soup was good enough for us to ask for two rounds of refills! While we are usually not fans of innards, we decided to give it a try as this would usually make or break most Bak Kut Teh eateries. We were pleasantly surprised at how 'clean' the innards were with no stench and they were mostly cooked perfectly. It was later did we learn that Rong Hua hires an uncle dedicated to cleaning the fresh produce that comes through the doors daily prior to cooking preparations! This has to be one of the highlights at Rong Hua with the addition of star anise, licorice and fennel seeds to help enhance the rich flavours of the braise. 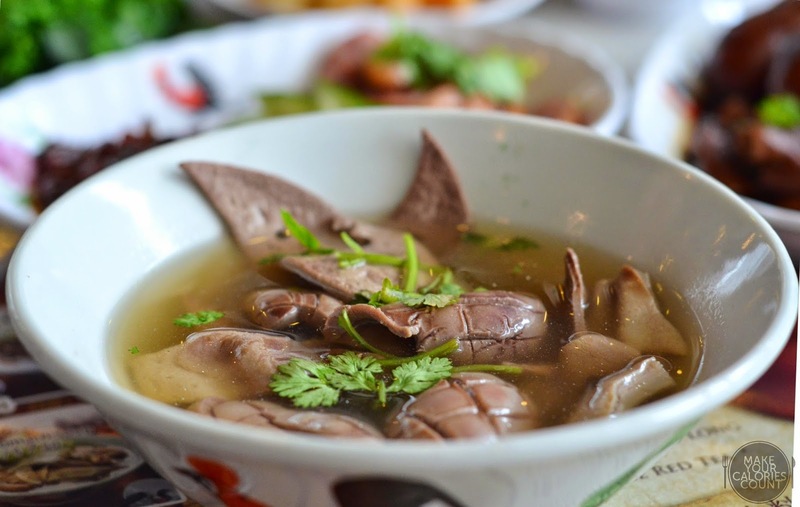 The meat was succulent and for those who are looking for added collagen, this is the perfect dish as the strong unami flavours packed a satisfying mouthful. Recommended as one of the signatures, we thought it would be a shame to give this a miss. It was surprisingly good as the soft intestines absorbed the bold flavours of the braise. While it is quite unconventional for Bak Kut Teh places to serve up smoked dishes such as this, we highly recommend this for sharing. Smoked in-house daily, the flavours were well-infused into the succulent red meat with a thin layer of fat to give some added juiciness to each bite. 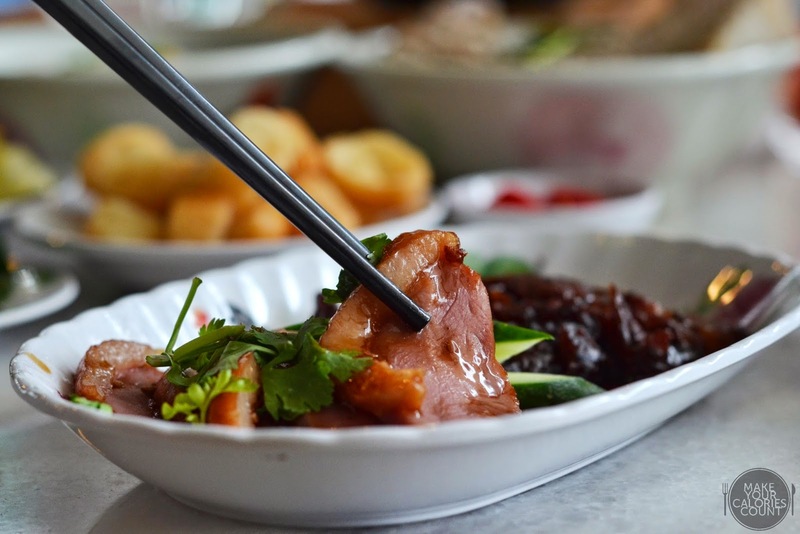 Marinated overnight, expect some robust flavours from the char siew which had been improvised from the classic Cantonese honey-barbecued version with addition of other spices to enhance the flavours. 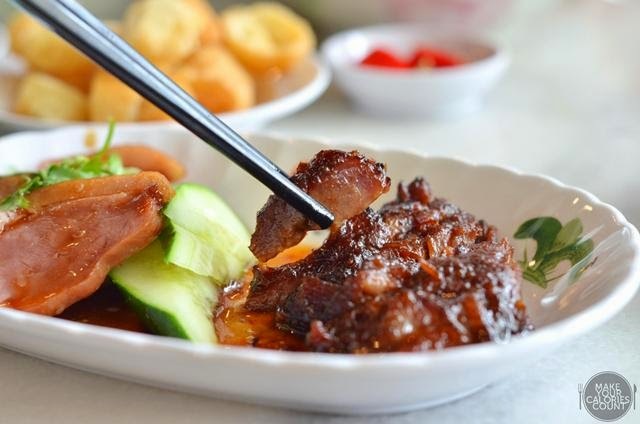 Almost melt-in-your-mouth tender, this is another highly recommended side to complement your Bak Kut Teh! 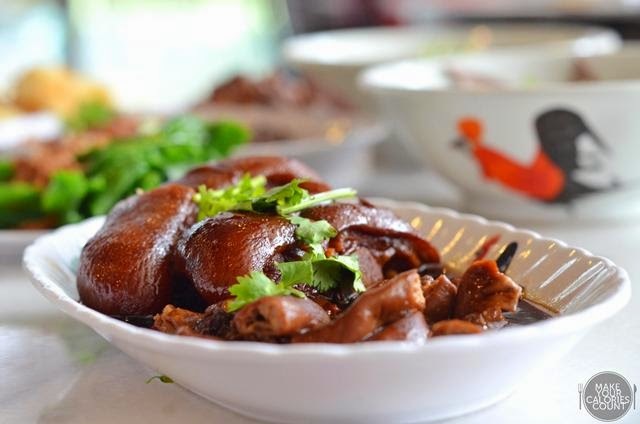 Available in various sizes, the side dishes were good complements starting from kai lan, braised peanuts, salted vegetables and dough fritters. The usual companions to a classic Bak Kut Teh meal, each of these sides were spot-on in terms of execution. 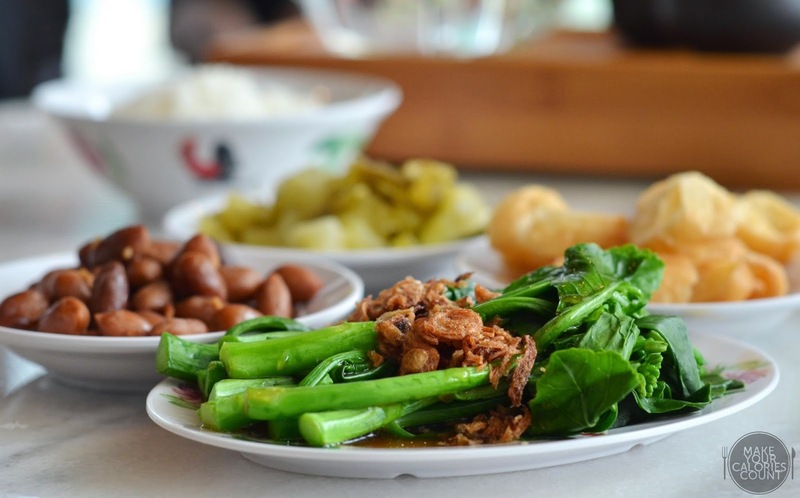 The salted vegetables had the right amount of seasoning; Dough fritters or you tiao was crispy; braised peanuts soft and flavourful and the kai lan retained a nice crunch in the stems and the leafy greens were fresh. 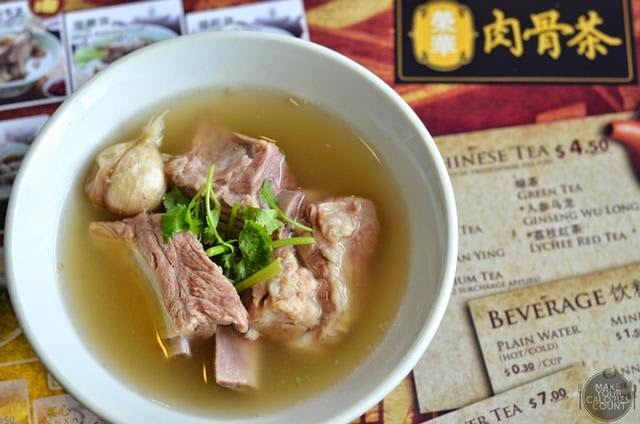 When it comes to Bak Kut Teh, most eateries focus on the art of mastering the broth and neglected the Chinese tea which in my personal opinion, plays an important role too in achieving the Bak Kut Teh experience. 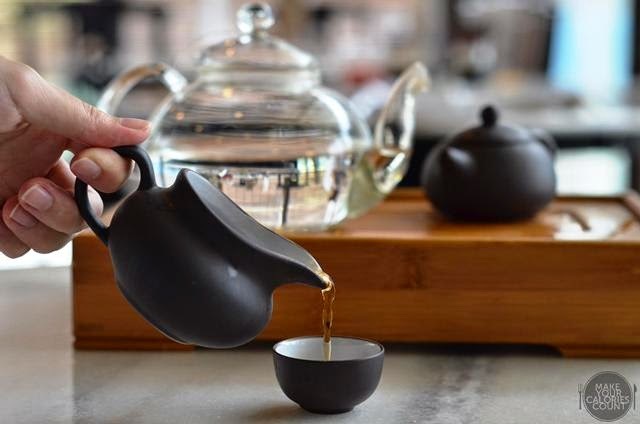 A Chinese cultural activity which involves the ritualised preparation and presentation of tea, it literally translates to 'making tea with effort'. As with a premium selection of Chinese tea leaves, the gongfu tea process helps to maximise the taste of the tea. 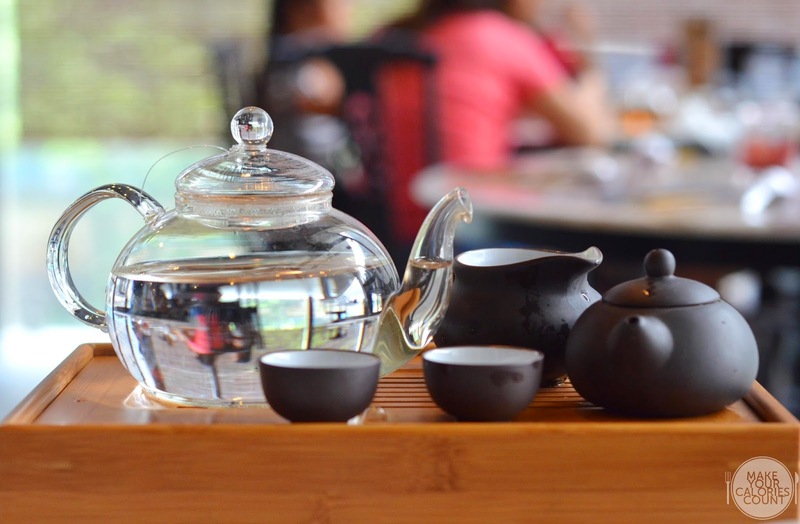 With various Chinese tea such as Pu Er, Tie Guan Ying, the tea connoisseurs can even expect premium selection such as Ginseng Wu Long and Lychee Red Tea. Priced at S$4.50/pot, the premium selection comes at an additional S$2 surcharge. Personally, I have a slightly picky palate when it comes to tea and generally prefer well rolled up premium tea leaves. The Tie Guan Ying we had however were the smaller leaves which left residue in our petite tea cups. 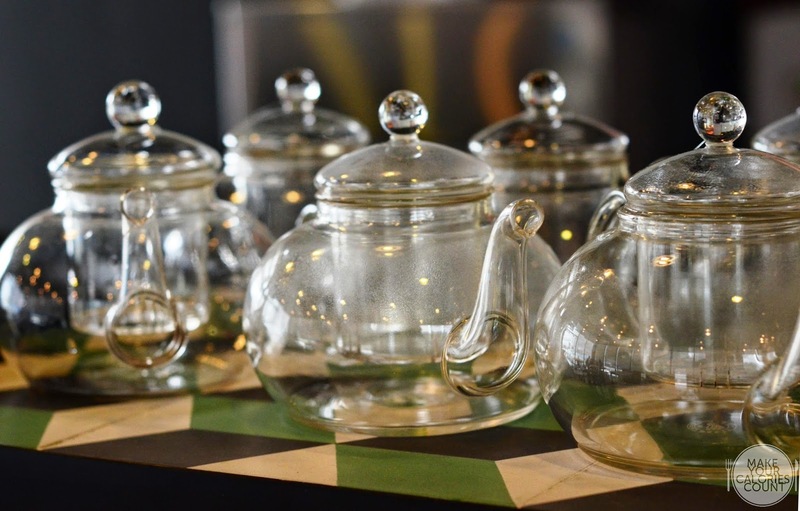 For diners who wish to have a slightly different twist to their beverage, you could also opt for the Flower Tea at S$7/pot which include Lavender, French Rose Buds ad even Apple Flower. Personally, I am not quite a fan of floral teas so we went with the traditional Tie Guan Ying, which was strong and had that oil-cleansing effect on the pork ribs we just had! 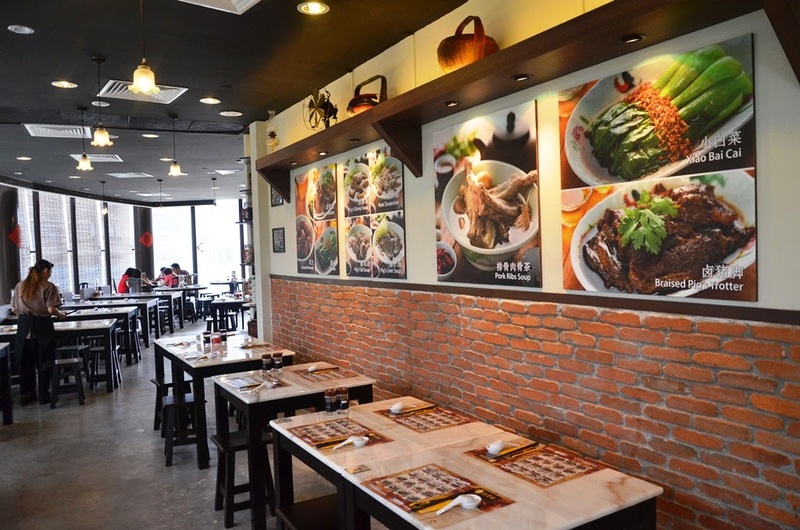 With a focus on a vintage feel when it comes to interior decorations, we found the ambience casual and comfortable. Conveniently located at Fusionopolis, the place gets really packed during the weekdays with the office crowd. What drew my attention was that the owners actually took advice from the customers and improve their dishes such as adopting a slightly leaner cut of the meat to suit the office ladies! Despite being a new establishment with just under two months of operations, the service crew were friendly, experienced and attentive to our requests. 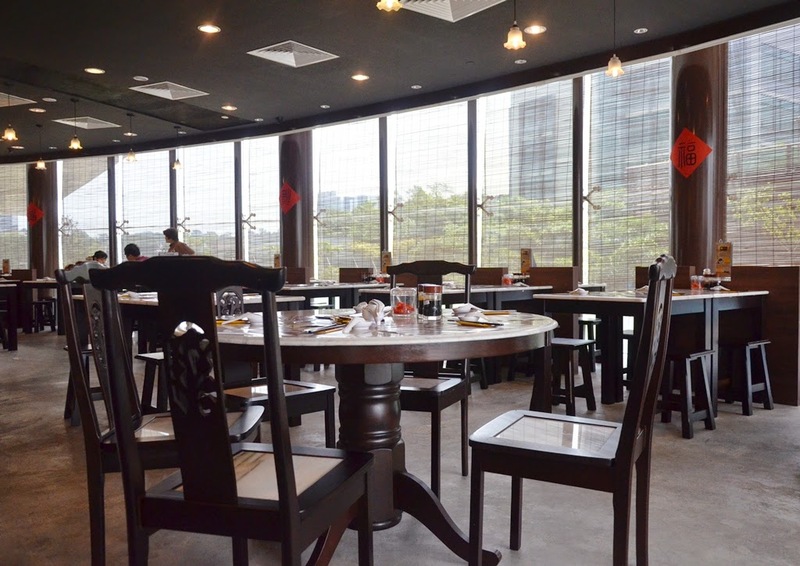 They were also knowledgeable in the dishes served so if you are new to Rong Hua, feel free to ask for recommendations. 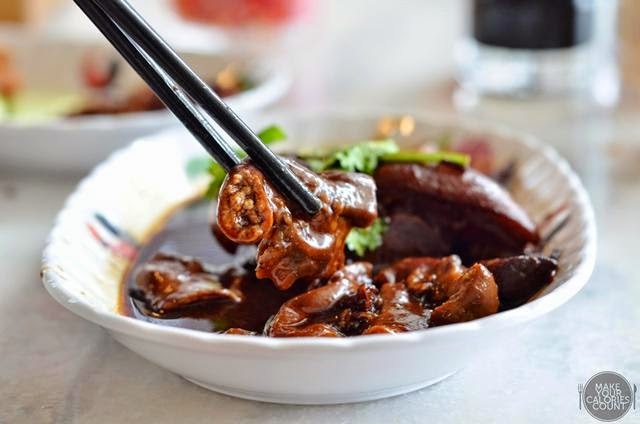 A well-oiled operating team with an recipes that had been passed for three generations, we might have uncovered a rare gem yet for the classic Bak Kut Teh dish. What impressed us however was not just the mainstay dish but rather all complementing side dishes were equally good. We have been told that the owner QC all his dishes before opening for service daily! P.S: Special thanks to Helen for the invitation and Rachel for hosting us!